Could you give us your overall assessment of the telecom and ICT sectors in Bahrain and the Middle East for this year? What are the growth prospects, and what are the opportunities and challenges in this sector? Key challenge remains overall industry growth in terms of gross revenue and number of services since we have experienced price erosion due to entry of new companies. However, with 5% pa population and dwelling growth forecasted over the next few years, industry revenues will return to a growth trajectory. Bahrain is one of the most competitive markets in the Middle East because of high levels of penetration for fixed and mobiles services and many providers to chose from. For mobile services, three full infrastructure network providers offer services and apps to 1.2 million customers with market penetration greater than 150%. The situation is similar for fixed network services, ISPs and data networks where broadband penetration for dwelings is over 120%. Such competition fuels innovation. 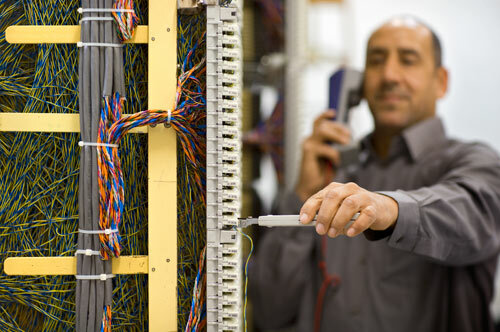 Despite the size of our market, the most advanced fixed and mobile network solutions and services for residential and enterprise customers which are typically found in sizeable markets, are also available in Bahrain, including FTTx, 4G services, business continuity solutions to smart card payphones just to mention a few. Competition also delivers better value to customers. Service level agreements, responsive delivery and very competitive prices are now the norm in the market place. Opportunities in enterprise solutions, ICT and e-services, mobility and fast apps delivery via fixed and wireless broadband infrastructure, remain areas for future growth. What is your perception of the regulatory environment in Bahrain, and what areas do you think can be improved upon? 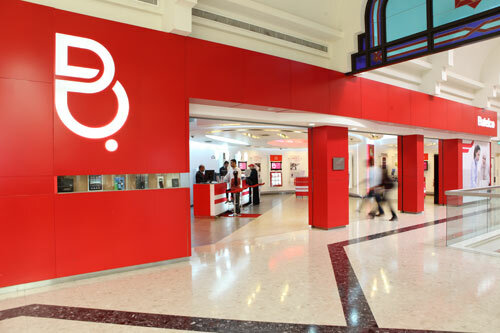 Batelco is no longer a market-dominant company. We are market leaders in terms of overall services portfolio. From this perspective, we remain constructively critical of the regulatory process. The purpose of regulation should be to support innovation, deliver value to customers, and above all to support investment and ensure the sustainability of the industry. If regulation disincentivizes investment, we can expect to see stagnation both in technology and in physical infrastructure. We believe that, in Bahrain, there has been too much regulation too quickly. This debate is over though. LLU, fixed and mobile number portability and almost every other regulatory initiative has already been announced and is being introduced in the market. We are now adjusting our operating model to ensure we still deliver value to customers and the right margins to our shareholders. We would like to see in the future, fair and proportionate regulation. For example, regulation that would force Batelco to provide access to our network to other licensed operators at giveaway prices and for no minimum commitment, will end up forcing any incumbent operator to reconsider the level of infrastructure investment. Batelco also believes that the market in Bahrain is ripe for the introduction of a nation-wide, high speed, fiber optic network. This would require a massive investment on the part of Batelco, and the resulting infrastructure could then be accessed by other operators at a fair and reasonable cost. To encourage such sizeable investment a regulatory “holiday” could be appropriate for a period of 4-5 years before the FTTx network is offered to all licensed operators. 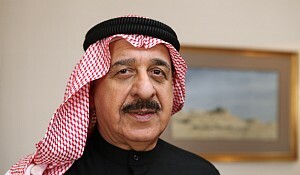 What is Batelco's Bahrain main strategy for the next three years? If regulation disincentivizes investment, we can expect to see stagnation both in technology and in physical infrastructure. We believe that, in Bahrain, there has been too much regulation too quickly. Our business strategy in Bahrain is driven by the retention of high-value customers, productivity improvements and innovation. We are delivering great value to the enterprise and residential, mass markets, but we are being pragmatic as the new entrants price very aggressively to win market share. We continue to invest in innovation and new technologies and to improve all our customer facing processes, including customer relationship management. In the current environment where new brands are flooding the market, brand positioning also becomes very important to us. We are the trusted, reliable, innovative brand, offering full range of services to our customers rather than niche products. We are also focusing on cost management. As a market leader, in a highly regulated and slowly growing market, we have to manage costs very carefully. We're looking at new business models and considering outsourcing certain activities or sharing facilities, as has been done in other parts of the world. Our focus on retaining high-value customers and controlling costs in Bahrain contrasts with our overseas strategy, which is focused on growth and scale. What is your strategy for abroad? Looking at our industry strategically, we foresee tremendous consolidation within the next five to ten years. With increasingly high levels of penetration in various countries, the days of standalone telecoms operators with small customer bases are over. Groups of companies, driven by common goals and sharing knowledge and market practices, have a chance to be more successful than a stand alone operator. In this context, we are focusing on creating shareholder value which will make Batelco an attractive partner. This involves increasing revenues through new products, diversifying our geographic footprint and increasing our customer base. We will also benefit from economies of scale, in order to reduce the cost of purchasing equipment and to allow us to reach a larger customer base. For the telecommunications companies of the future, which are all about multimedia and delivering information, scale is very important. We aspire to become relevant to more customers in more markets, and eventually to establish ourselves as a leading regional company with a strong mobile broadband customer base. In the future, our industry will involve more than just voice communication and SMS which are the current revenue and profit foundations. Operating value will be created based on delivering multimedia applications across multiple devices. The larger our customer base the better chance we have to deliver that content faster, better, cheaper. Tell us about the agreement you have with Kingdom Holding Co. to acquire a stake in Zain Saudi Arabia. The potential acquisition of Zain is driven by our strategy to grow scale and diversify. Whilst our priority is to be a strong market leader in Bahrain, we also aspire to deliver growth and future revenue and profit streams. 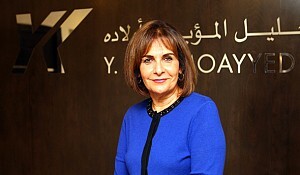 Our growth strategy has been based on developing a strong footprint in the Middle East. 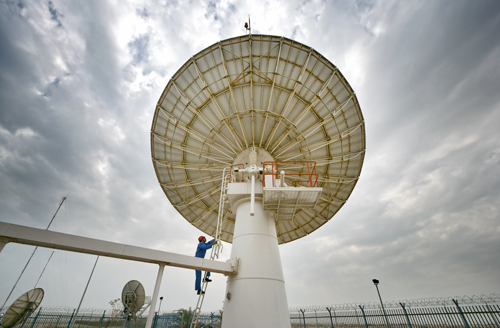 The Saudi market is the largest and fastest-growing telecom market in this region. We currently operate in KSA through a fixed-wireless company, Etihad Atheeb, but the opportunity to acquire Zain is critical to our growth strategy and will be complimentary to our operations in Bahrain, Jordan and Yemen. Batelco Group’s 10.2 million customer base and experience from the regional market will complement Zain’s 8.5 million customer base and allow for synergies and benefits to be delivered quicker to Zain. We have successfully completed a number of acquisitions in various countries - India, Jordan, Kuwait, Yemen and Saudi Arabia - and from experience we know that concluding the deal is only the beginning. Accelerating the profitable growth of the company is the aim of the Batelco-Kingdom Consortium for the benefit of customers and all shareholders. 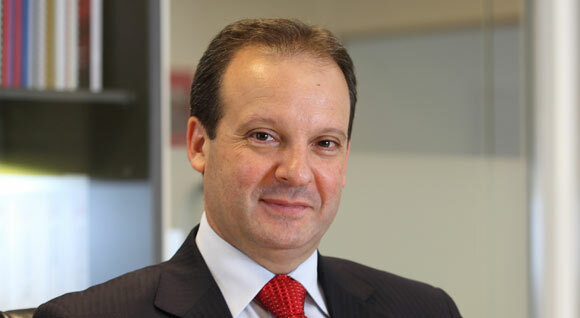 How do you plan to reconcile the different managing philosophies between Zain and Batelco? We don’t believe there are different managing philosophies. Certainly, looking back, one company can be classified as a ”challenger” and the other as an “incumbent”. However, all companies in the Batelco Group have very experienced senior leadership teams with significant competitive experience. Irrespective where we started from, we all aim to succeed and profitably grow our operations. Our goals and aspirations in winning customers, delivering innovation and value are similar. We have learned to respect the value other management teams have to offer. Following an acquisition, as we have done on a number of occasions in the last few years, we search for “best practice” in the new company. Where is the talent and what are they doing better? Yes, cultural differences exist, but all competitive companies are run by businesspeople and driven by setting and achieving goals. We find very quickly we have more similarities rather than differences with management teams in a company which we acquire. In mature markets we pay attention to detail, engage and listen to the leadership teams, encourage them and stretch them with KPIs. It is important to have a great relationship with the leadership teams in operating companies. They should have freedom to operate, but also be held accountable for the results they obtain, rewarded for success and learn from failure. Projecting yourself in the future, where do you see your company in two years? We are trying to build a company which foremost is relevant to our customers – a brand of choice in the markets we operate. We want to leverage new technologies and processes to deliver a better experience to our customers. We want to develop a reputation for multimedia content delivery rather than offer simple connectivity. It is all about helping customers enjoy a better lifestyle and enabling businesses to succeed in their own markets, through services and innovation, enabled by Batelco !